Albert Roy Hinshaw1 [Roy Hinshaw1, Albert Roy Henshaw2, Roy Henshaw3]. 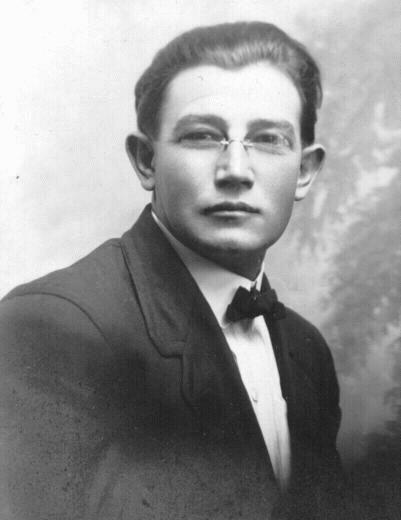 Hinshaw, Albert R., head-of-household, age 38, born in Kansas; father born in Indiana; mother born in Ohio; rented home; occupation: lineman, telephone. Hinshaw, Cora L., wife, age 37, born in Missouri; father born in Sweden; mother born in New York. Rachel Emma Jones Hinshaw, Knell Funeral Home, 308 W. Chestnut, Carthage, Missouri. 1920 census, Unionville, Union Township, Putnam County, Missouri; roll T625-943, ED 135, page 7B, line #75, dwelling #133, family #138. Photo courtesy of Barb Roberts.